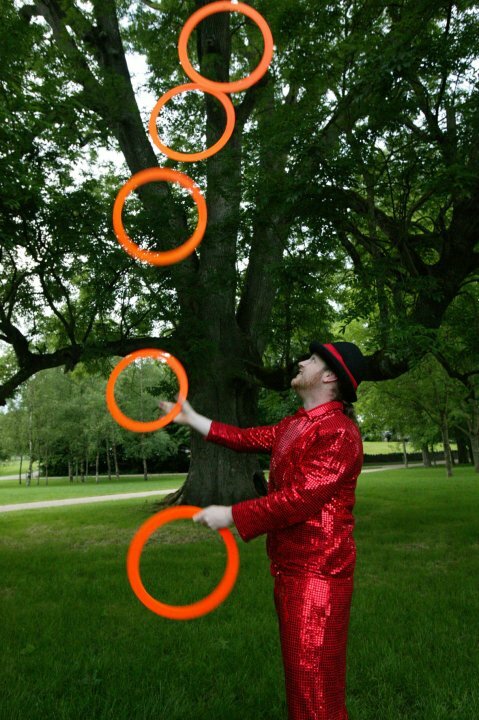 Stephen continually develops innovative, new full-stage acts as part of his ongoing study of performance, entertainment and circus skills. A series of entertaining stage acts with durations from 3 to 10 minutes are available at all times. Customised shows are available to suit your event or theme also. 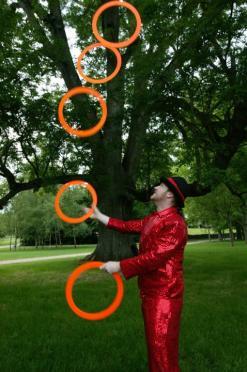 Shows feature numerous skills, specialising in Ball and Ring Juggling routines. Contact Stephen to chat about Stage entertainments.